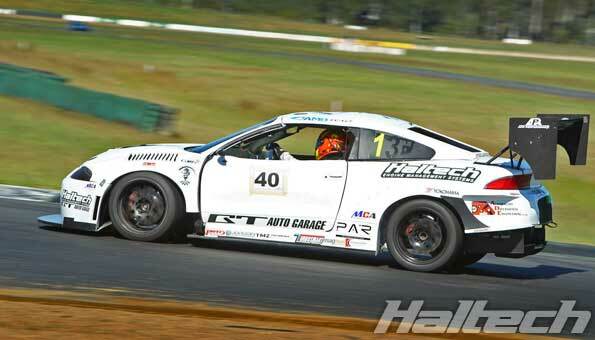 Andrew Brilliant’s Mitsubishi Eclipse might be a newcomer to the Australian time attack scene but the car has had a long and colourful history back in the United States. Later that year, due to the change of rules the car was forced to move up to the Limited class. 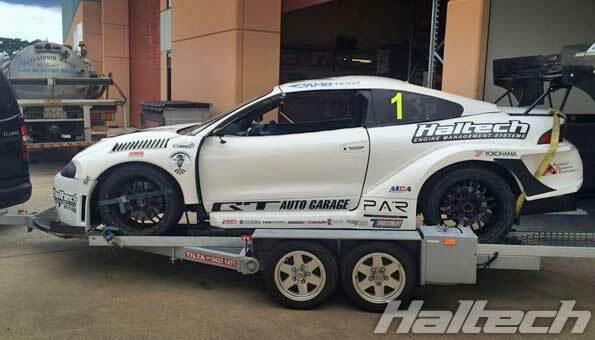 This didn’t faze Andrew or his crew and their efforts were rewarded with a Limited FWD title that year, followed by a back to back title next year and a track record. 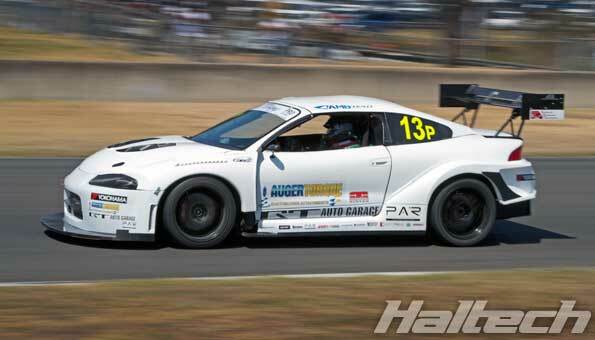 Andrew then set his sights on the Australia-based World Time Attack Challenge. 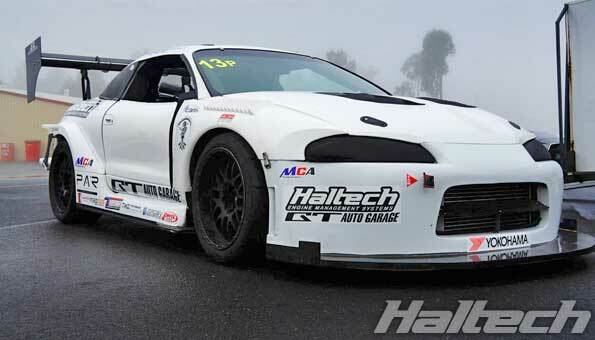 The car is based on a Mitsubishi Eclipse and powered by a 2.4 litre, long rod stroker tuned by GT Auto Garage. 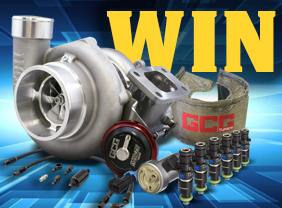 Forced induction duties are handled by a Precision turbocharger kept in check by a Turbosmart Hypergate 45 wastegate. 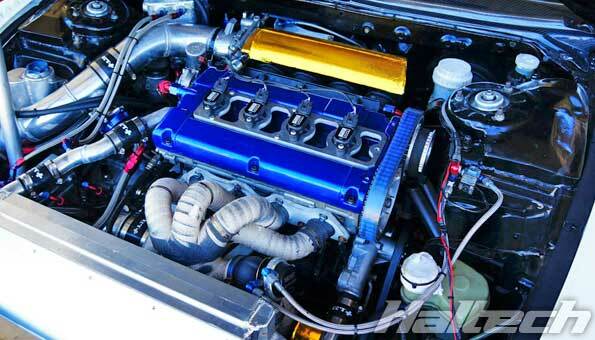 Haltech handles all engine management and data acquisition. 2100cc injectors, three Bosch 044 pressure pumps and a Turbosmart fuel pressure regulator look after the fuel supply. 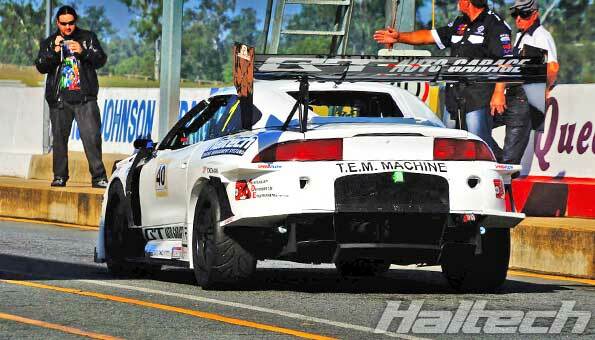 The aero is a custom Andrew Brilliant (AMB Aero) designed wide body, aero package and APR tri-element wing. 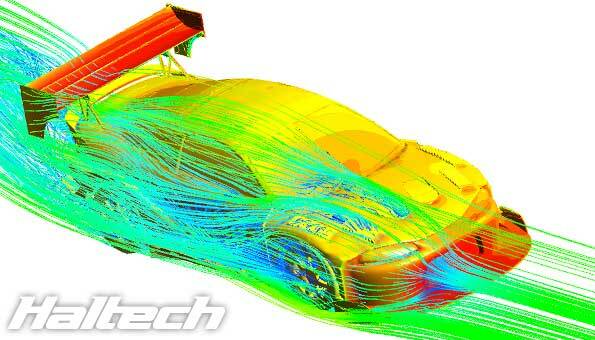 All CFD designed and wind tunnel tested. 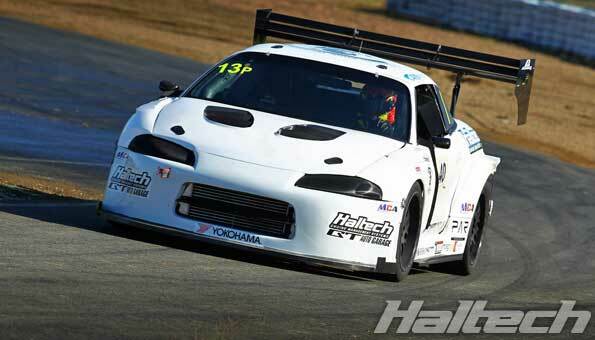 Andrew’s Eclipse has an impressive track record with 2009 & 2010 Super Lap Battle Limited FF titles and a few track records to boot: M-FWD/Limited FF Buttonwillow Raceway, S-FWD Spring Mountain Motorsports Park, S-FWD Willow Springs International Raceway.